Ships in spring, separately from any other items. Limited supply. (Allium ampeloprasum) Hardy perennial leek. Leaves die back in July/August and resprout in September. Makes loads of little bulbs (~5-20 per plant) that will also resprout. Young greens can be eaten all winter, or left to mature until February and then eaten as a slender sweet leek all spring. Plants may also form small seeds some years, depending on weather and location. (Here in Virginia, so far they’ve seeded once in 7 years.) Besides being started from seeds, the plants can also be propagated by dividing the bulbs in spring or fall; bulbs should be spaced out every few years to avoid overcrowding. Comes with growing instructions. Starter bundle (5-10 plants). 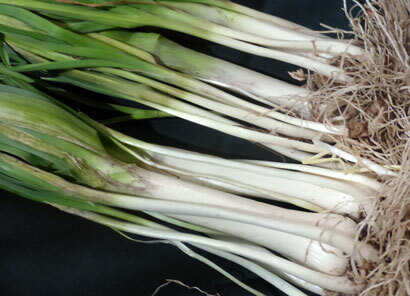 Brief Growing Instructions: Perennial leeks are generally started from dried bulbs planted in fall or divisions of plants in early spring. 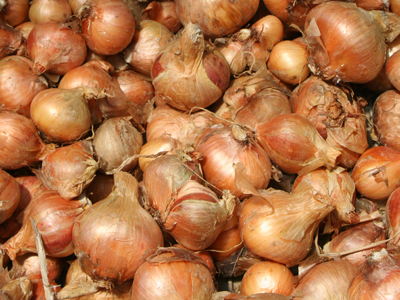 Plant bulbs 1 to 2 inches deep in rows 12 inches in raised beds or a well drained garden soil with high organic matter. Cover lightly with mulch. Keep the bed weeded and water as necessary until plants are established. Plants started from true seed take 2 years to reach full size. General culture is similar to onions and leeks.